The General Manager at Sky Zone provides business leadership and operational oversight to the facility. The GM's ability to make sound decisions and implement strategies to meet business goals is a key element to our success. 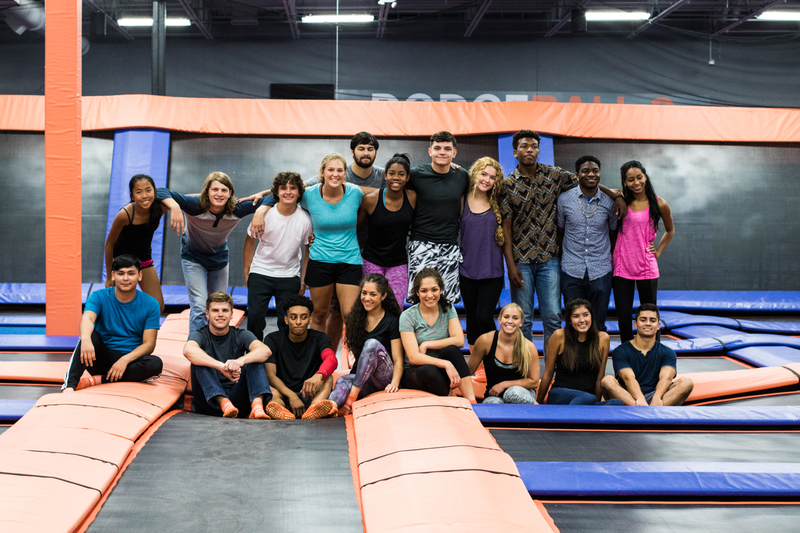 Our extensive training and on-boarding process ensures that Sky Zone General Managers have the support and knowledge to be successful in their new role! Oversee, manage, and collaborate with the Sky Zone management team to ensure successful day-to- day operations. Resolve any operational or guest experience issues which may occur professionally and efficiently. Forecast sales and labor, plan expenditures and meet the budgetary goals for the business. This part-time position will be responsible for driving the Sky Zone Hummer in the communities around Sky Zone Newnan, Sky Zone Roswell and Sky Zone Suwanee to scheduled events. This position will also support street promotions initiatives such as: attending events and high school football games representing Sky Zone, interacting with event attendees and distributing Sky Zone marketing materials. This position will work closely with the General Managers and Sales Team to support all Sky Zone Events including, but not limited to: STEM Field Trips, Toddler Time, Home School Jump, etc..
· Enjoy kids of all ages. · Ability to lead children and interact supportively with school faculty and parent helpers. · Works well with direction. · Work well as a team. · Love of Math and Science. · Availability to coach; all 2 hour STEM Field Trips have at least a 2 week lead time so that scheduling is made easier and trips are made available Monday through Friday with most being scheduled on Wednesdays and Thursdays. · Positive and Affirming Attitude with the desire to make this an amazing student experience. · Works well with Sky Zone Management. · Willingness to be trained in Sky Zone Values and Math Mind Workshop curriculum (about 4 hours training). · Good organization and time management skills. · Agree to a drug test and background check. Ensures that all trampolines and equipment are up to standard and functioning properly. They also are sales representatives! Try to pitch the parent to upgrade to one of our Green Screen Packages. Media team can also assist with parties if necessary.